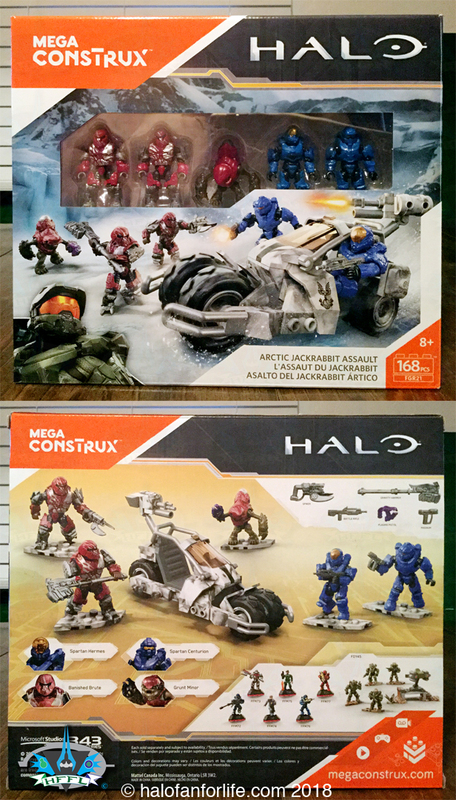 The box art shows the figures in an action scene, while the back shows off the contents within. 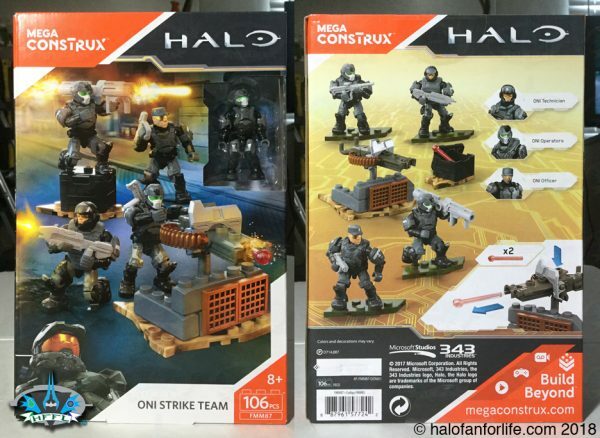 This box size is new to the Halo Mega Construx line. I like it. It’s tall, not long allowing for more sets to be placed on store shelves. 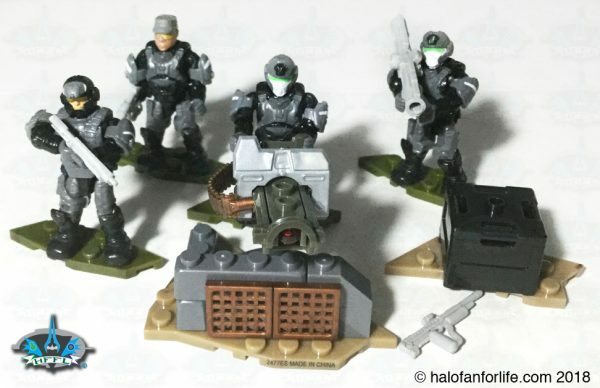 Note the figures are the same as typical UNSC Marines, but with the ONI Black/Grey deco instead. You get several bags of pieces and an instruction manual. 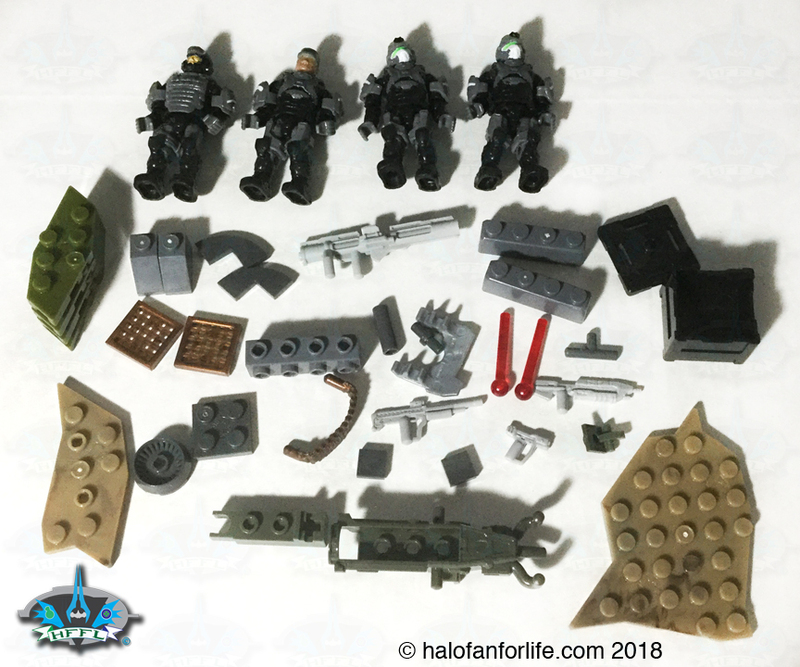 Here are the pieces sorted out. It’s comprised mostly of the turret and terrain pieces and of course the figures. 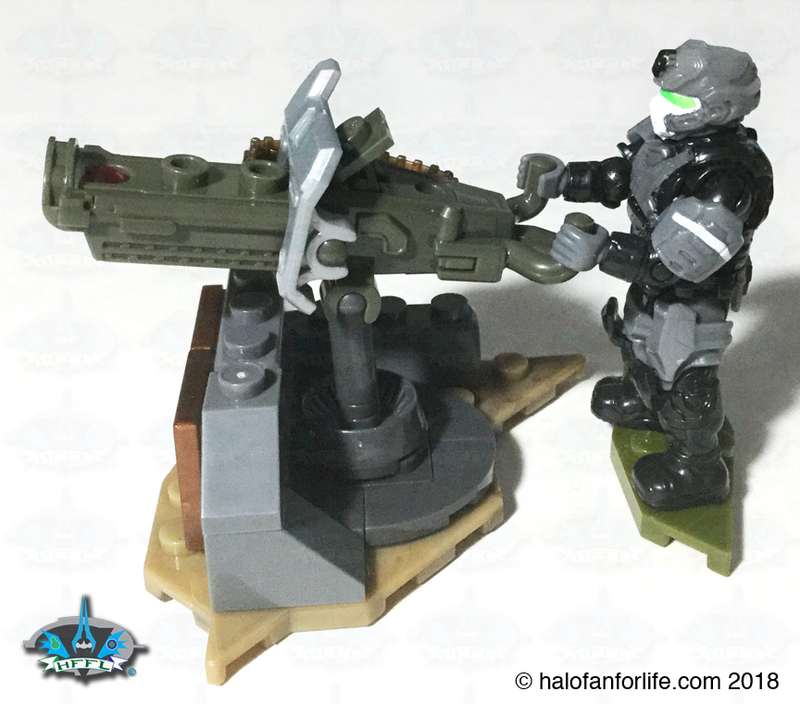 The new UNSC machine gun turret has a play feature that allows for small plastic bolts to be fired from it. I’m actually not to much a fan of this as it makes the turret bigger than it’s supposed to be. However, for playability, the firing feature is nice. And the whole set on display! Summary: The set is a good value, especially if you like ONI troops. The new firing turret is a bit big but does add a formerly non-existent play feature. Overall Rating: I give this set 8.5 out for 10 medals. Why did I give it a 8.5 out of 10? There are two things about the set that keep it from being a 10 for me. • I’m not a fan of the oversized turret. Full point for that. • Half point off for the officer figure. I’d have preferred another of the larger helmeted figures instead. 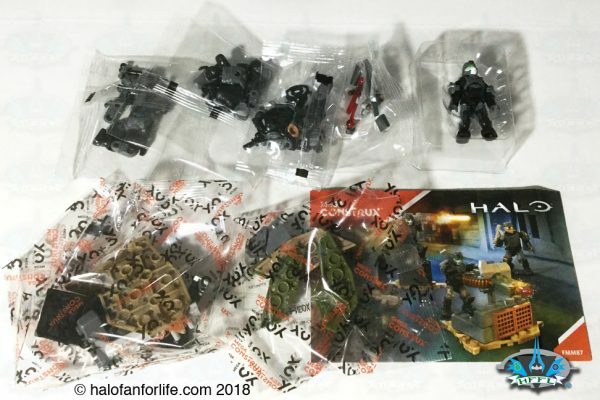 • The figures with one weapon and a figure stand each equate to $3.50 each. $14 total. Given that the set costs $15 US before tax, this is a very good value! Do I recommend it? YES. We rarely get ONI sets, so this is welcomed. That we get 3 troopers is good. As mentioned above, I’m not a fan of the turret and would have liked another trooper instead of the officer. However, the set as a whole is good and worth the retail price. If you have any questions about this set that I didn’t cover in the review, please do not hesitate to ask me. Either reply below or e-mail me at sal@halofanforlife.com. This entry was posted in Halo Mega Bloks/Construx by Sal. Bookmark the permalink.